It was such a hectic time looking for ramekins in my area. Though Tesco, Giant and Jusco are so nearby, I simply don't find any ramekins there. Hmmmm...luckily Jiya@14Sept told me that she saw some ramekin promotion in Tesco leaflet. 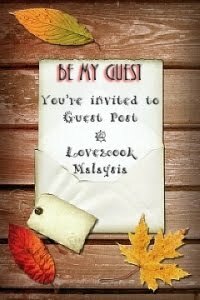 My Hubby infact, took me to Tesco Shah Alam n Extra for this. Hahaha...but came back empty handed. Since Tesco Klang did not have it too, I cancelled my plan to look for it. I actually wanted to make puddings in those ramekins. But before that, I used them to make a simple Egg Benedict, recipe courtesy Zurin@Myresipi. I printed the recipe a year ago. Unfortunately I'm unable to enter the site now due to my slow connection. So, let's check out the recipe. Kids will love this...my kids did!!! Grease muffin moulds/ramekins with some margerine/butter. Apply some margerine/butter on a bread piece. Sprinkle some salt and blackpepper over. 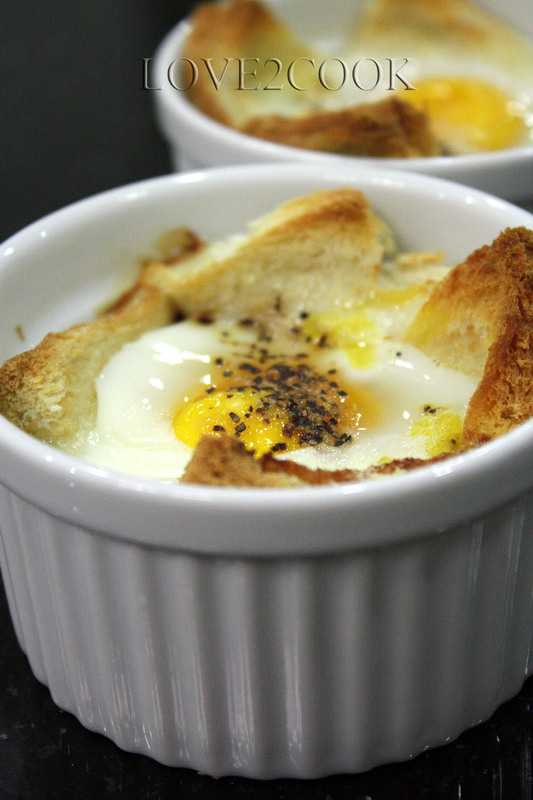 Break an egg on top of the bread. Sprinkle some salt and blackpepper again. Bake at 180 C for 15-20mins. Ready to serve. friend, actually I have been looking to get some ramekin too, I even thinking to get it back from Gold coast trip but my husband not allowed me to do so since it is easy to break. So Tesco Klang no more stock? Let me check in Tesco Setia Alam. How much for one? Looks easy and delicious, great for fulfilling breakfast..
Gosh, forgot the price...but it's somewhere rm30+ per set. Tak pernah lg try buat egg benedict ni..simple ja.. It seems that I'm not the only one who is looking for the ramekins! Whenever out shopping, I would "eye" around for this! Even the local bakery supplies store don't sell this! And this is something so common in the bakery line! My sis got hers from S'pore, but she's back in Malaysia for good, so cannot tumpang! Thanks for the info, when I go to Tesco the next time, will try to inquire about this! BTW, your egg benedict looks yummy and glad to see that you are back posting! Recipe sounds so simple and yummy!! 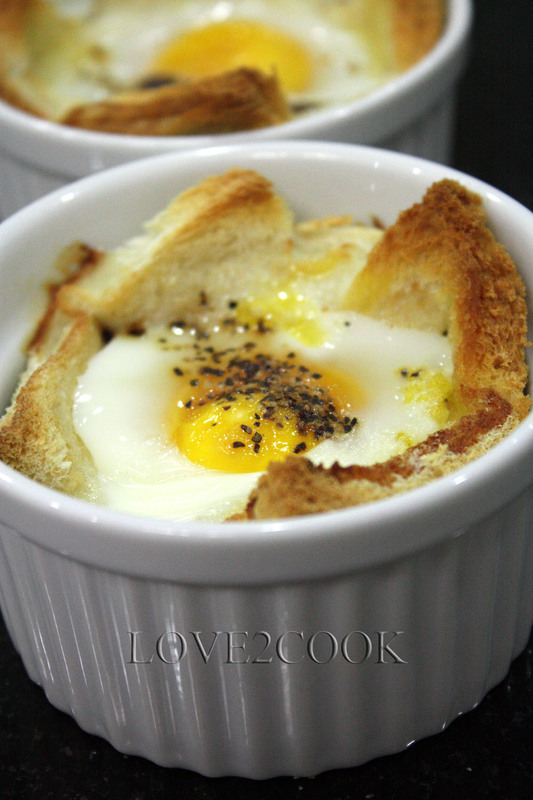 Cute ramekins..Egg benedict makes me hungry.. I can imagine a big smile on ur face when you finally got those ramekins :-). Di sini ada nampak ramekins, tapi tak berani nak beli sebab qualitynya macam tak boleh dipercayai. Takut retak seribu lak! Egg benedict tu nampak yummy! What a lovely and comforting dish....really good for breakfast on a cold morning! i love this..looks so perfect and yummy!!! I just bought some new ramekins today...I use them so often that the six I had weren't sufficient. This is a really unique version of eggs benedict...here in the U.S. its usually a poached egg with Bearnaise sauce, Canadian bacon, and English muffin...since I dont eat bacon I'll have to try out your version. Dommage que tu habites aussi loin. Ici, les ramequins sont la chose qu'on le plus facilement et partout. J'aime beaucoup ta recette : simple et rapide à faire, elle doit être en plus très bonne. looks yum,delicious n droolworthy...wonderful pics...and great buy..lovley ramekins...wer doing fine dear...how is ashika,started talking?? hai love..how are you today? akak gelak tgk girl tu main bedak...comel ajer muka dia..
good idealah you buat popia inti pisang..macam sedap ajer.. It really looks yummy. I can't wait to try it. Can you tell me what is your ramekin size (diameter and height)?